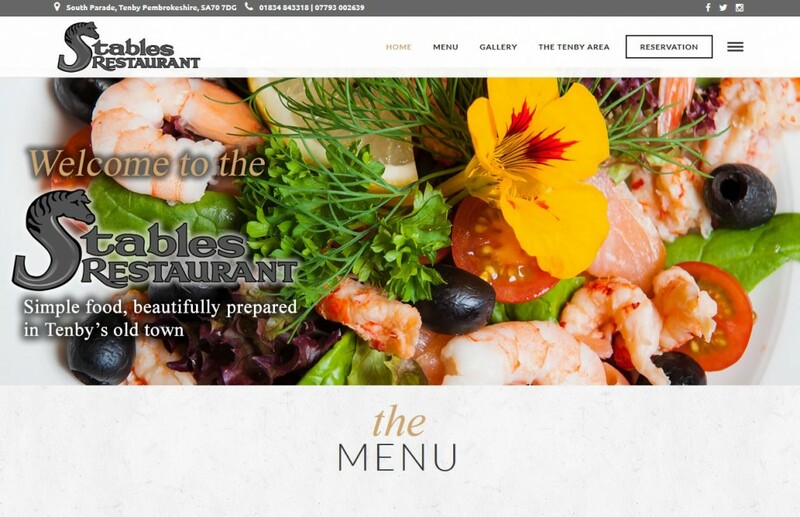 The Stables Restaurant in Tenby needed a new website to conincide with their opening. First and foremost the requirement was for a design that could best display images of the food on sale and to give a flavour of the restuarnt menu. Buzinet combined a simple dynamically resizing single comlumn layout with galleries and booking enquiry form along with a classic menu layout to get the message across. In addition Buzinet designed and built Facebook and Twitter pages to support the website activity, between each of the mediums the Stables Restaurant Tenby is building a positive online profile which will only grow with future interaction.